The Durable Slate Company provides slate, copper, and clay tile roofing services throughout the Eastern United States. The Durable Restoration Company is an award winning restoration contractor employing craftsmen specializing in more than a dozen traditional trades covering the interior as well as exterior envelope. Our expertise in historic methods and materials combined with our dedication to outstanding customer service is exemplified by the dozens of awards we have received in the areas of craftsmanship, safety, business integrity, and for training employees that have reached the pinnacle of the industry. 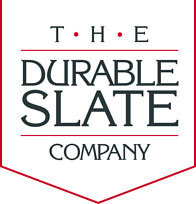 At Durable Slate, we train our artisans on the knowledge accumulated over generations of experience from expert slaters as well as from our thousands of completed projects. This pride of creating and restoring beautiful roofs that lasts generations has resulted in numerous local and national awards for craftsmanship to many of our fine artisans.